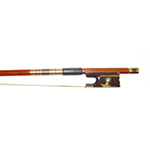 Eugene Nicolas Sartory (1871–1946) was an influential French archetier/ bow maker, taught by his father in Mirecourt, France. One of the greatest of all makers, Francois Voirin worked in the shop of famed master J. B. Vuillaume. 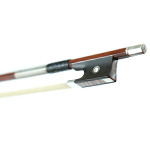 He is best known for bows of graceful and gentle beauty and light weight. This exquisite silver mounted replica is a lovely tribute to the master. A lighter bow for intricate passagework (58-60 grams), but with great ability to pull a warm sound. 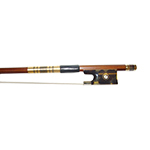 คันชักไวโอลินขนาด 4/4 Carefully selected Pernambuco stick, round, full German silver mounted, fine ebony frog, pearl eye, three part screw with pearl eye, nickel-silver wire winding. 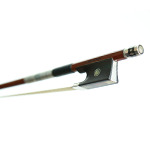 Carefully selected Pernambuco stick, round gold 14k mounted, fine ebony frog, pearl eye, three part screw with pearl eye, nickel-silver wire winding. 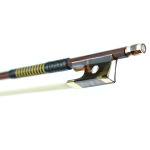 Stunning silver fittings and faux tortoise shell frog on this impressive bow! 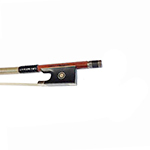 Firm stick is at home with the Bach Chacconne as well as with Paganini No. 24. 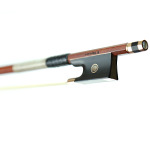 This bow will help take any serious student or amateur to the next level of playing.